European Central Bank policy makers have every reason to remain cautious about the region’s economy as they meet on Wednesday. The U.S. has thrown out a fresh tariff threat, Italy’s government has almost given up on growth this year, and Brexit remains unresolved with a crunch point approaching. On top of that, the International Monetary Fund on Tuesday cut its global outlook yet again. Aside from the various concerns — the reason the ECB says risks are to the “downside” — another topic set to feature prominently is the institution’s negative interest-rate policy. No policy shift is expected at this meeting as officials scrutinize the economy to calibrate a new bank lending program announced last month, although warnings about risks to growth and inflation may grow louder. The ECB will make its announcement at 1:45 p.m. in Frankfurt, followed by a press conference with President Mario Draghi 45 minutes later. While any new U.S. levies may be months away, the proposal could damp confidence, dimming prospects for a rebound later this year. 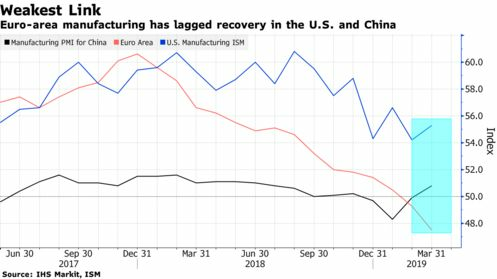 The euro area is already the weak link in the global economy, with Italy in recession and Germany battling an industrial slump that will see growth slowing to a six-year low. ECB officials have stepped up calls on European governments to help stimulate the economy and are likely to take this message to IMF meetings in Washington this week. In its World Economic Outlook on Tuesday, the fund lowered its 2019 prediction for global growth to 3.3 percent from 3.5 percent less than three months ago. It sees a pickup later in the year, but also warned of threats that could scupper that view. A disorderly departure of Britain from the EU is one of the euro area’s biggest threats that would — should it materialize — amplify the region’s slowdown. It’s a scenario all of the bloc’s 27 remaining nations as well as the U.K. are trying to avoid. Less consensus exists around how to achieve such an outcome. Britain’s main political parties are deadlocked over how exactly to exit, and EU countries disagree on how far into the future the deadline should be pushed out. European leaders gather Wednesday for yet another Brexit summit. 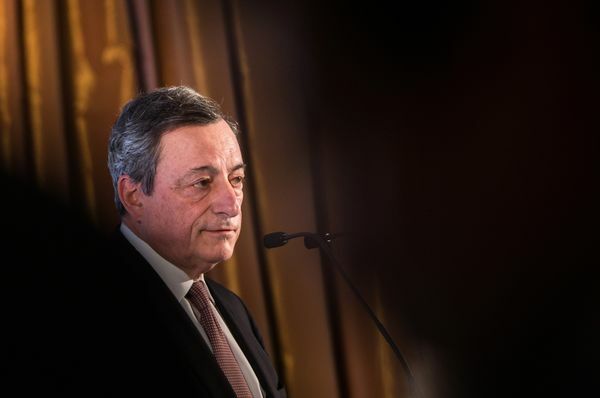 Draghi can expect to be quizzed about the ECB’s negative-rates policy after he sparked speculation late last month that policy makers are preparing to soften the impact on bank profitability. Yet no decision is imminent. Committees, whose work is often the basis for formal policy proposals, didn’t discuss a system that would exempt some funds from the charge, according to people with knowledge of the matter. 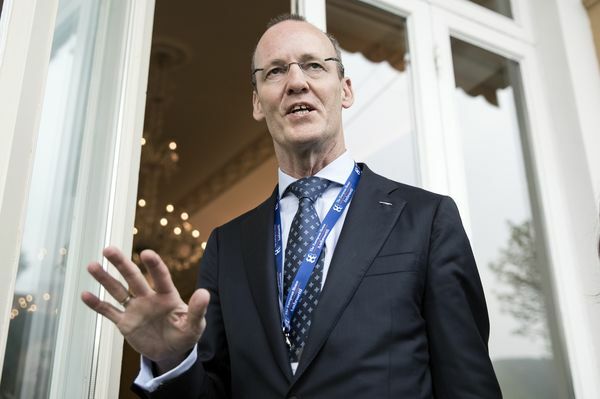 Dutch governor Klaas Knot and others have urged colleagues to stay away from so-called tiering, which the ECB studied in 2016 but found too complex to implement in the euro area. Little news should be expected about the ECB’s new long-term lending program, after policy makers signaled that new forecasts in June would be key to judging how generous the terms should be. The lowest interest rate will probably be below the ECB’s benchmark, according to economists surveyed by Bloomberg. That means banks — at least for now — will be paid to take up funding. Investors are growing increasingly impatient with policy makers’ regular assessment that inflation will eventually pick up. Market-based measures for future price growth slid to the weakest since 2016 earlier this month as faith in the ECB’s ability to hit it goal wanes.